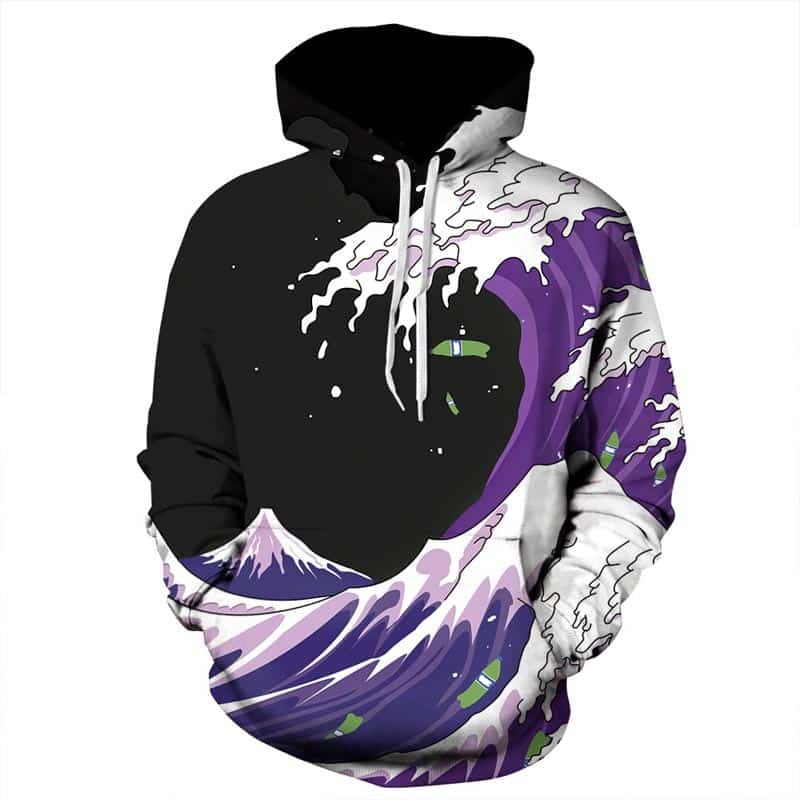 A cool concept of purple waves that look like they are going to crash into a mountain similar to Fuji in Japan. 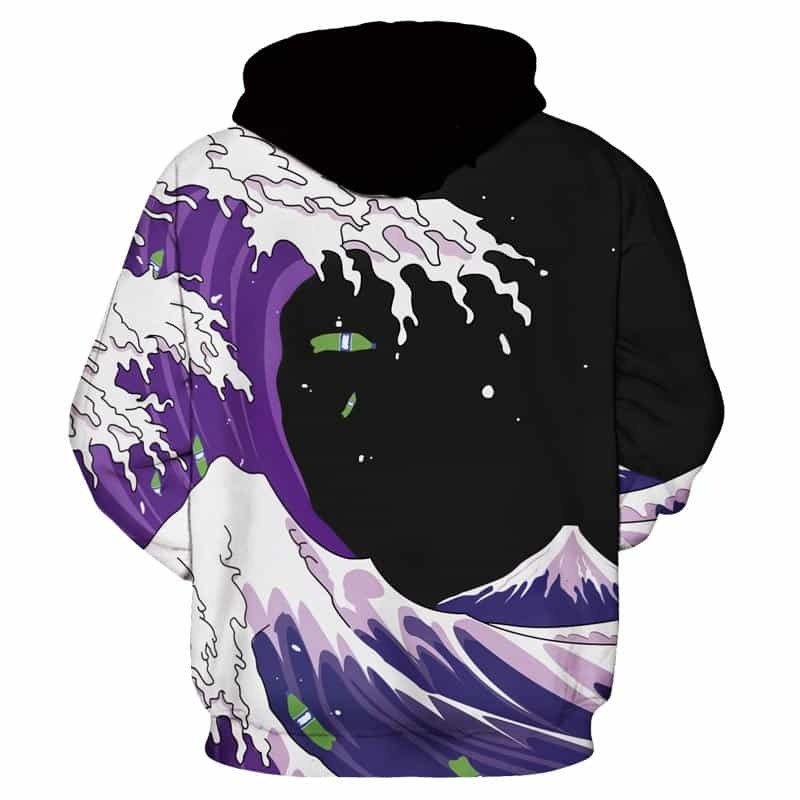 This Purple Waves Hoodie is a stylish hoodie on a black backdrop. The hoodie is comfortable to wear, looks fashionable and is wearable anywhere. It was designed for both male and female. Item receive in good condition..fit to my body and really comfortable. 3. кенгурушные pockets, not convenient placed. amazing quality, size was perfect (ordered xxxl and fits like us xl) the person who got this for Christmas loves it and the subtle joke.